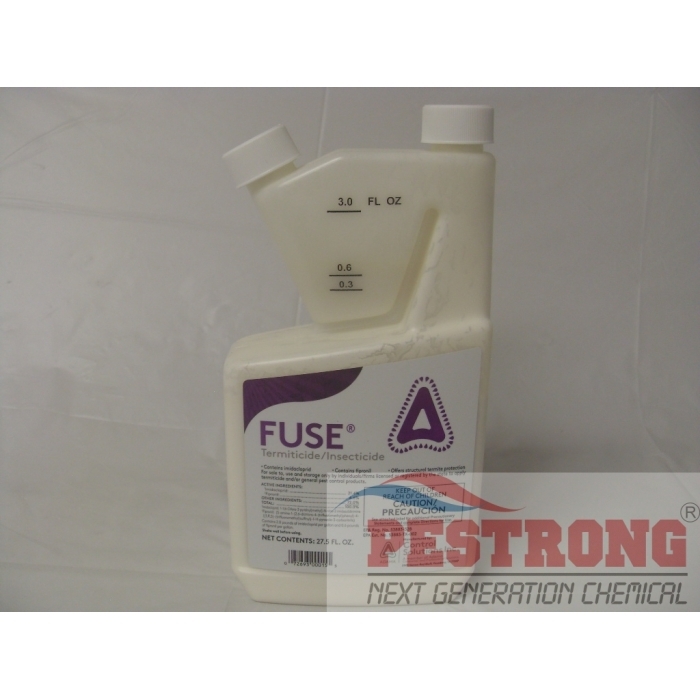 Where to Buy Fuse Termiticide Insecticide, Fuse Termiticide Insecticide - 27.5 - 137.5 oz - $66.95 for Sale with Fast Free Shipping! 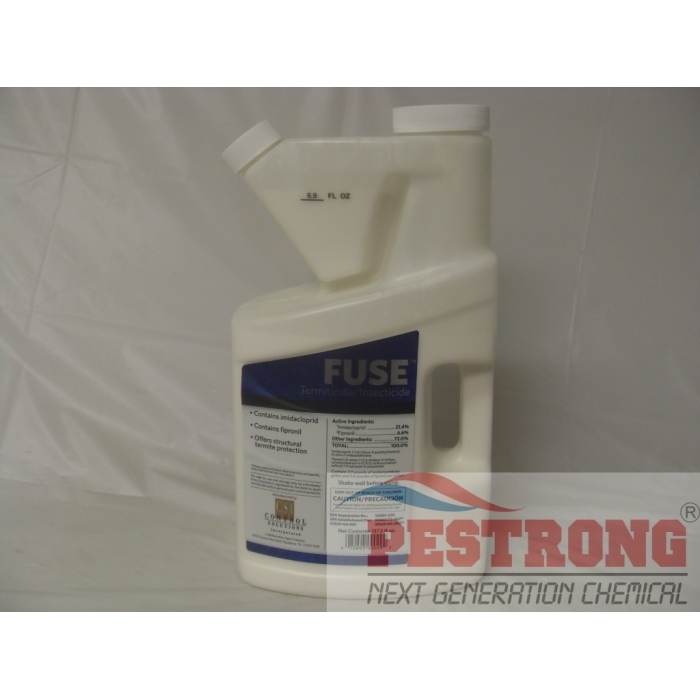 Fuse Termiticide Insecticide - 27.5 - 137.5 oz contains two active ingredients imidacloprid(Dominion 2L) and fipronil(Termidor) is labeled for termite and perimeter pest control applications. Rate : 0.3 oz per 1 gallon of water or 27.5 oz per 100 gallons of water for 0.067% solution. 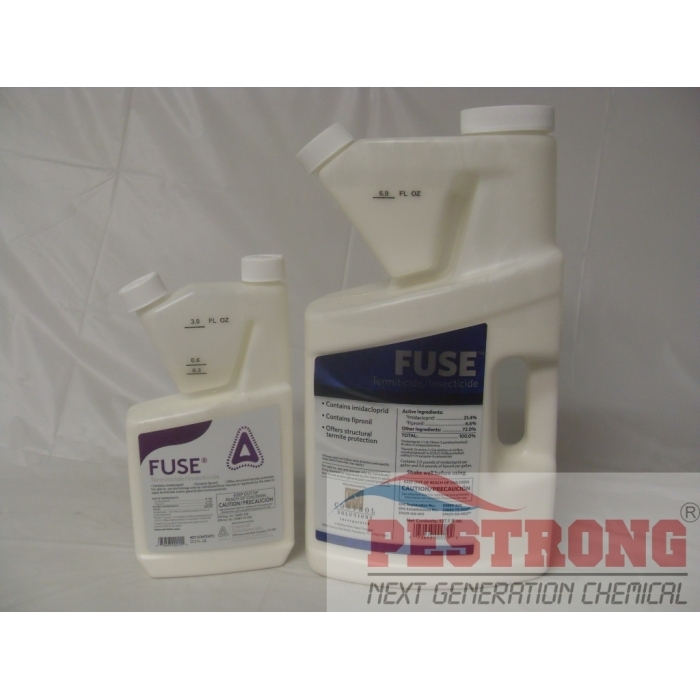 4 gallons finished solution per 10 linear feet 1 foot depth. 1 Bottle (27.5 oz) makes 100 gallons of water finished soultion for killing termites and ants. This is great product which contains two ingredients popular fipronil. Works like charm.